Pasqualino Gaudio achieved the Master Degree in Physics and the Ph.D. in Quantum Electronics and Plasma Physics (2007). He is a researcher at the Department of Industrial Engineering, University of Rome Tor Vergata. Dr. Gaudio is an expert in laser and its applications; he worked for several years in the field of the environmental remote sensing techniques Lidar/Dial. In this context, he worked with important private companies, such as Finmeccanica SpA and Vitrociset SpA. He coordinates several research projects granted by the National and International funding programs (both public and military programs) about laser system development for Toxic Industrial Chemical, Toxic Industrial Material, Chemical Weapon Agents and Biological Weapons Agents identification an protection. He collaborates with the “Associazione EUROFUSION - ENEA per la Fusione” to study the dust mobilization inside thermonuclear fusion reactors. In the same framework, his research activities on Nuclear Fusion involves analysis and interpretation of the polarimeter signal at JET fusion reactor in Culham (UK). Currently Dr. Gaudio is the coordinator of the both International Master Courses in Protection Against CBRNe events (I and II levels). He is author of more than 100 scientific works published on International Journals, Conferences Proceedings and of three Italian Patents. Carlo Bellecci is a Full Professor (Rtd.) of Experimental Physics at University of Rome Tor Vergata; he is teacher of Physics for Nuclear Energy at the School of Engineering. Currently, he is deputy President of CRATI S.c.r.l., Consortium for Research and Development of New Technologies, and President of the Scientific Committee of the International Master Courses in Protection against CBRNe Events at University of Rome Tor Vergata. 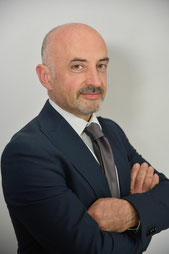 Moreover, Prof. Bellecci is the Project Manager and the Research Leader on renewable energy, remote sensing of atmospheric pollutants and Lidar/Dial technologies in IR spectral range in several projects founded by International and National grants. He has a strong experience in experimental works on optical methods for plasma diagnostics in the framework of nuclear fusion and on exploitation of solar energy. Prof. Bellecci is referee for several Scientific Journals and has authored more than 250 Scientific Works.